The Betway Premier League continues this Thursday night, with the action coming from the SSE Hydro in Glasgow. The tension is really starting to grow with just two more weeks until Judgement Night, and it’s tight at the bottom of the table. It’s also hotting up at the business end, and the top three players in the world all look to have winnable matches this week. Michael van Gerwen, Phil Taylor and Gary Anderson will all expect to be fighting it out for the Premier League trophy by the end of the competition, and each of them can gain another victory this week as Judgement Night looms on the horizon. Last week’s action took place at the Capital FM Arena in Nottingham and saw Michael van Gerwen rise to the top of the Premier League table after a 7-3 win over Phil Taylor. It was a strange start to the game with the first seven legs all won against the throw, but van Gerwen took command and recorded an average of 107.61 to take the match. Dave Chisnall lost his unbeaten start to the campaign, going down by the same scoreline of 7-3 to Stephen Bunting, who gave himself a chance of surviving in the Premier League by moving up to five points. James Wade moved up to six points with a vital 7-3 win over Raymond van Barneveld, and that left last year’s Premier League Champion joint bottom with Kim Huybrechts, who was beaten 7-5 by Peter Wright. 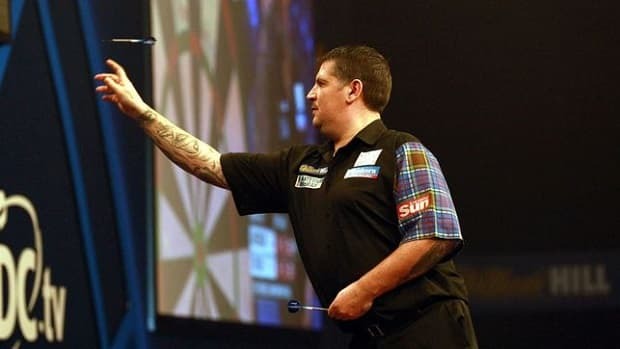 Gary Anderson hit a brilliant average of 108.98 in a 7-1 whitewash of Adrian Lewis to complete the results. Phil Taylor will have been disappointed with the loss to van Gerwen last week, and he’ll want to bounce back in style against old adversary Raymond van Barneveld. The reigning Premier League champion has played poorly so far this season, and was 6-1 down at one stage in his defeat to James Wade last week. His record from six games so far is won 1, drawn 1, and lost 4, and that’s not good enough form to be competing in the Premier League. To his advantage is the fact that there are three nights of darts still to be played, and the table can change a great deal in that time. To his disadvantage is the fact that he faces Taylor, van Gerwen and Anderson in his last three matches, and it looks like a tough ask for the Dutchman. If he was to progress beyond Judgement Night he would have needed more points on the board by now, considering those last three fixtures, and he could well be dropping out in a couple of weeks time. Taylor continues to set a high standard, and this should be much easier than the van Gerwen match of last week. Gary Anderson is a close third in the Premier League with 8 points, having won 4 and lost 2 of his matches so far. He was back to his scintillating best last week with the 7-1 defeat of Adrian Lewis, and he scored the highest average of the night. He also hit 58% of his checkouts, and if he continues playing that sort of darts, he should win this at a canter. Huybrechts is joint bottom of the league with van Barneveld and faces Phil Taylor and Stephen Bunting in his last two games. He needs to beat Bunting and try to get some sort of result against one of the big two if he is to survive in the league, but his defeat to Peter Wright last week doesn’t inspire confidence. 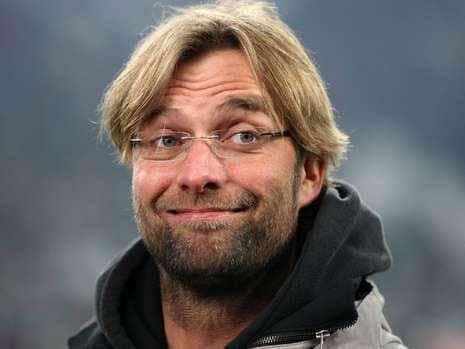 He’s won just 1 Premier League game, with 1 draw and 4 defeats. He averaged just 97.77 last week, and won’t stand up to Anderson’s quality if the Scot brings his A game. Dave Chisnall had a brilliant start to the Premier League season, and despite losing his unbeaten record last week in the 7-3 loss to Stephen Bunting, he remains second in the table – behind tonight’s opponent, Michael van Gerwen. The world number one moved to the top of the pile with a convincing win over Phil Taylor last week, and is in ominous form. Chisnall has the carrot of moving ahead of van Gerwen in the table with a win this week, but van Gerwen will not give up the top spot easily, and he is worth backing to exert his authority with a win. He’s the only player who is still unbeaten in the league, having drawn 2 and won 4 of his matches, and he will aim to keep that record going. Chisnall could only average 99.55 last week compared to van Gerwen’s 107.61, and if both arrive in similar form, the game can only go one way. These aren’t the most controversial selections, and each is the odds-on favourite, but in each game the top player looks to have the outstanding form and an outstanding chance, and sometimes it pays to side with the favourite. The three together make up a respectable treble at a price of 5/2 3.50 +250 2.50 2.50 -0.40 and that looks like the best option for the night’s darts.